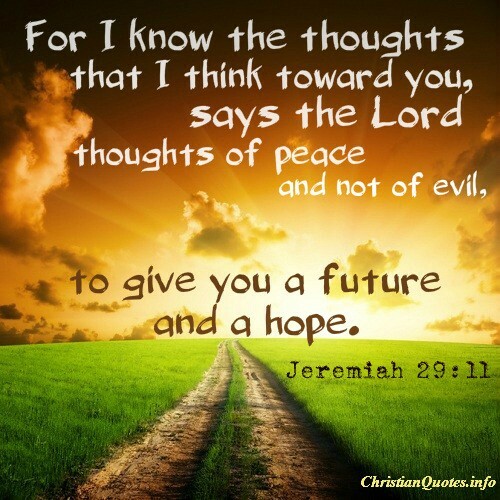 God promised us His peace, and God always keeps His promises. 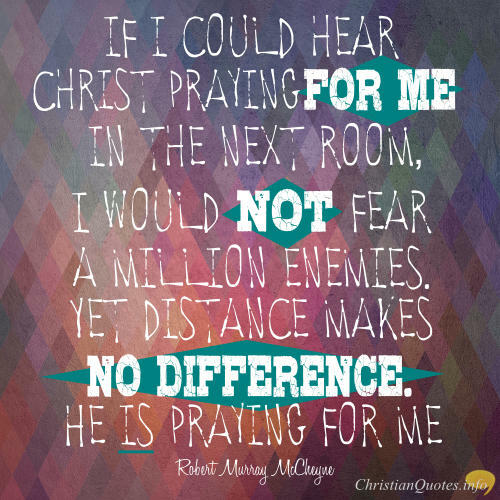 If we will trust Him and receive His peace, then all worry, fear, and anguish will fade from our minds and hearts. This collection of quotes from both the Bible and from more modern writers shows us that God’s peace is always available to help us through anything. No circumstance is so big that He cannot control it. The kingdom of God is righteousness and peace. True wisdom is never argumentative or quarrelsome. It does not strive. It maintains harmonious relationships with everyone, as far as possible. It is impossible to quarrel with a man who is filled with Divine wisdom, for such a man is a peaceable man. 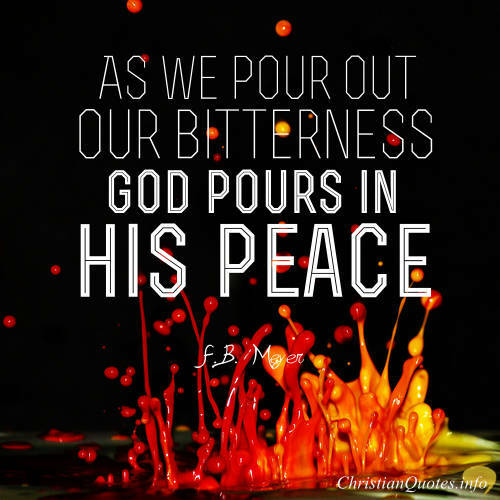 As we pour out our bitterness, God pours in his peace. We must do our business faithfully; without trouble or disquiet, recalling our mind to GOD mildly, and with tranquility, as often as we find it wandering from Him. As long as a man is alive and out of hell, he cannot have any cause to complain. If God be our God, He will give us peace in trouble. When there is a storm without, He will make peace within. The world can create trouble in peace, but God can create peace in trouble. Because of the empty tomb, we have peace. Because of His resurrection, we can have peace during even the most troubling of times because we know He is in control of all that happens in the world. Peace comes when there is no cloud between us and God. 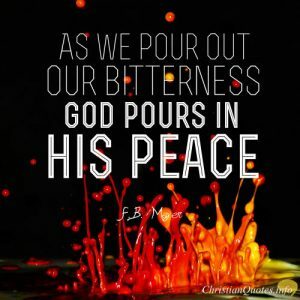 Peace is the consequence of forgiveness, God’s removal of that which obscures His face and so breaks union with Him. 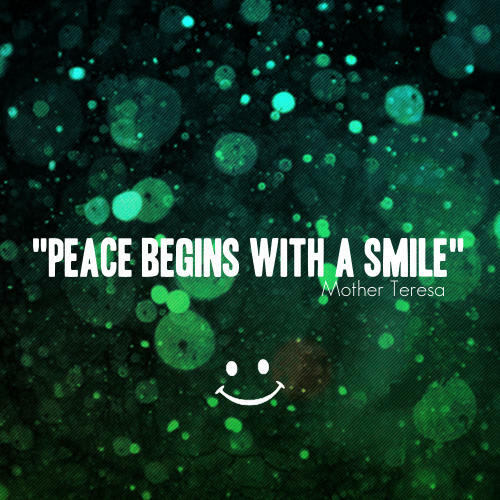 A born-again person ought to possess unspeakable peace in the spirit. Real contentment must come from within. You and I cannot change or control the world around us, but we can change and control the world within us. Concentrate on counting your blessings and you’ll have little time to count anything else. 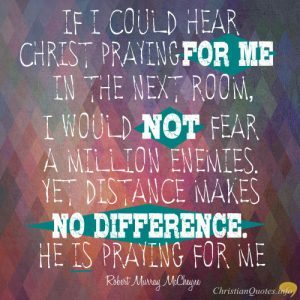 My prayer is that you find in these quotes a reminder of God’s peace that He freely gives to us all. Take these words with you, today and every day, and go in peace.